1. Protects car wheels and bolts against damage. 2. Protective material is Teflon, not plastic. 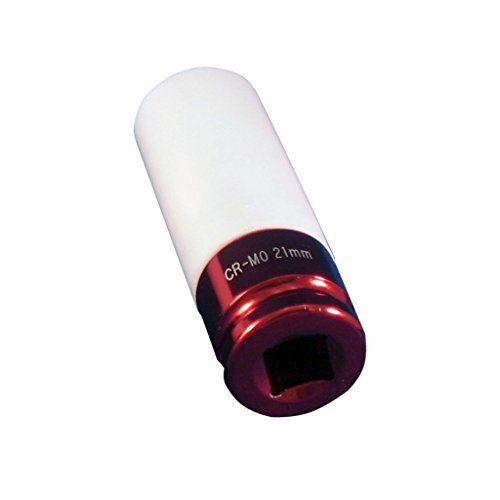 1/2" CR-MO protective wheel sockets. Protects car wheels & bolts against damage. Manufacturer: FIRSTINFO TOOLS Co., Ltd. Publisher: FIRSTINFO TOOLS Co., Ltd. Studio: FIRSTINFO TOOLS Co., Ltd. If you have any questions about this product by FIRSTINFO, contact us by completing and submitting the form below. If you are looking for a specif part number, please include it with your message.